While most people generally know what mediation is, if you are contemplating or going through a divorce, it can be helpful to know more about how it specifically works within the context of divorce law, and how you can work with an experienced Florida divorce law attorney in the process of mediation in order to achieve a resolution you are happy with at the outcome of the process. 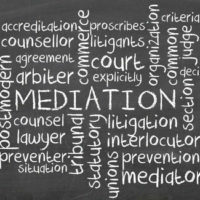 In a nutshell, mediation aims to help both parties avoid litigation (where they ask the court to decide the terms of the divorce) and instead come to some form of agreement as to the key terms. However, it is not the only option available if you wish to avoid litigating your divorce in court. In mediation, parties meet in a private, confidential setting, with a neutral third party (and their attorneys) present in order to assist the parties with communication and staying on course to come to a particular agreement, outcome, or resolution, as a result of the mediation. The mediator is not always an attorney, thus it is crucial that each party work with their own attorneys so that the terms of what they are working towards are clear and any desired outcomes are achieved as a result of the mediation. All that the mediator can do is help facilitate communication between the parties, thus it is your responsibility to ensure that your legal interests are represented throughout the process. Mediation can be helpful to couples in terms of keeping the relationship out of court and minimizing costs. It can also minimize the amount of stress involved in a divorce, especially when a couple is concerned that obtaining the divorce in court could be contentious and have negative effects on their children. Mediation can be sought out any time before or after divorce papers have been filed and, in fact, some Florida counties, such as Hillsborough County, require it in any child custody and visitation cases. However, keep in mind that not all of the terms of the divorce need to be decided in mediation; parties can come up with a partial agreement and leave other issues up to the court. This is where your family law attorney will assist you in coming up with the very best outcome for your interests, including reviewing any and all agreements before they are finalized. The collaborative divorce process is slightly different from mediation. In addition to each party and their attorneys being present, there are other experts present as well, such as financial experts and mental health professionals. In addition, at the outset, parties agree not to litigate; however, it is important to note that, should the collaboration break down, the right to litigate is never forfeited. The Florida divorce/family law attorneys at HD Law Partners regularly assist couples with mediation and other resolution-based processes when it comes to divorce. 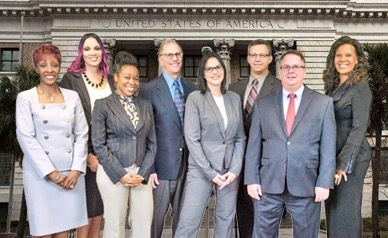 We provide knowledgeable, experienced, and dedicated legal representation for any and all family law proceedings, serving clients in Orlando, Sarasota, Tampa, and surrounding areas. Contact us today for a free consultation.